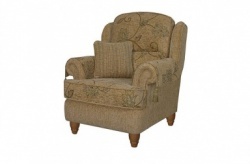 The Selkirk armchair comes with reversible cushions which can make up a pattern and plain combination. 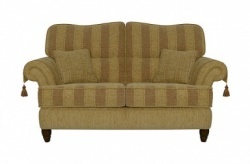 Matching 3, 2.5, 2 seater and gents chair available. 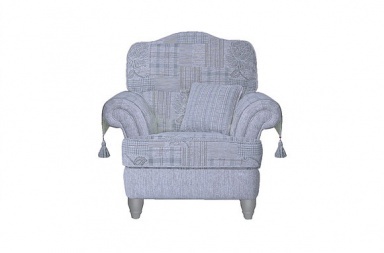 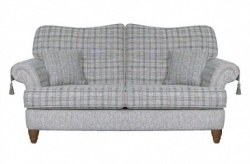 The fabric pictured and available to buy online is Patchwork Frost on grey legs. 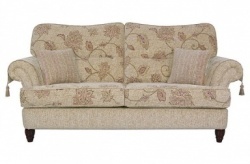 The 3 seater is also shown in Floral Pebble on mahogany legs and the 2.5 seater is in Check Frost on oak legs.